Former academic advisor, adjunct professor, and refugee caseworker. 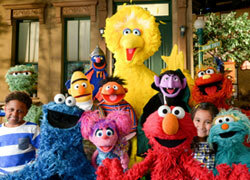 I love all peoples, including fuzzy and flocked ones. I agree with Einstein that "Imagination is more important than knowledge"! And, I have been extremely ill since 2009 when I had to go on medical leave from grad school, and since then I've declined from wheelchair to bedridden on oxygen... I used to lose consciousness all the time before the oxygen, keeping me hypoxic and in a stupor most of the time. Now I can think more clearly again, making me all to aware of how desperately lonely I am. 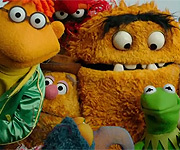 The Muppets (and Pajanimals) have been my only companions, but I wish I could enjoy them more than just on TV -- with a cuddly, huggable replica of some of my favorites: Miss Piggy could use a new sister to love her, especially given her sad sad upbringing, and my mother wants to adopt her to give her all the love, support, and homecooking that our favorite girl deserves! This will also make me Robin the Frog's new auntie, and sister-in-law to the finest flippered man in the world, our dear sweet Kermie. I know he's very busy all the time, but maybe he could bring Robin over for vacations (when he's not at Frog Scouts).